Google’s office at 123 Buckingham Palace Road accommodates over 600 staff. 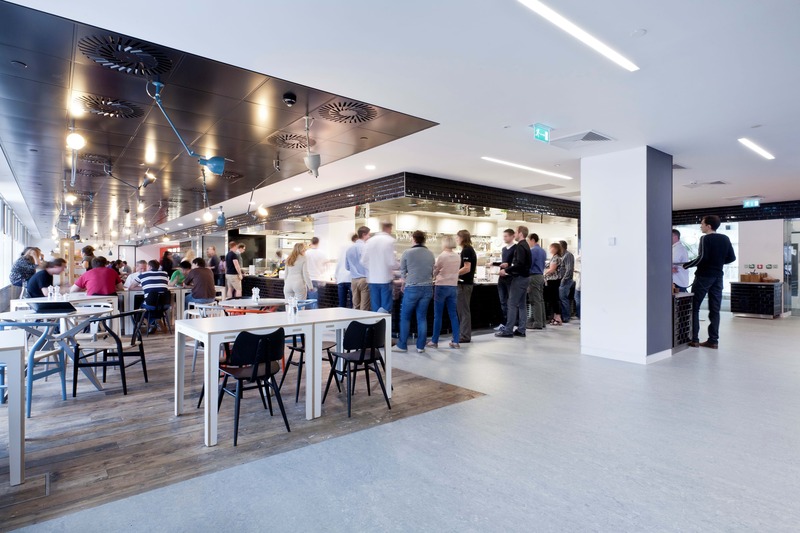 We were appointed to design a dynamic and collaborative work environment to support the growing number of Google staff in London. Our design uses a British-London-Brighton theme, with many iconic elements incorporated throughout. 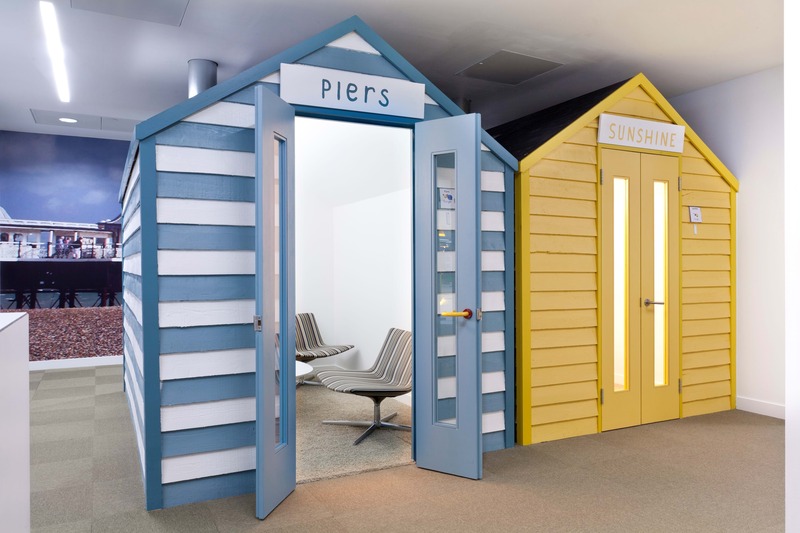 For example, brightly coloured timber beach huts are meeting rooms and giant colourful dice accommodate individual video conference booths; original dodgem cars and traditional red telephone booths provide work spaces available to both staff and visitors. 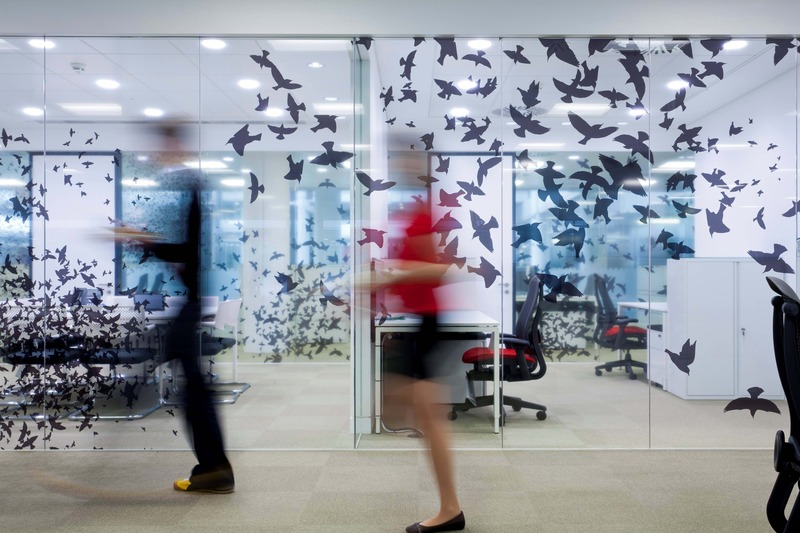 As well as providing open plan workstations for staff, which are mixed with a limited number of offices, meeting rooms and open break-out seating areas have also been incorporated, together with support spaces for printing and IT technical services. The design also includes significant amenity and wellness facilities for staff such as a fully fitted out gym/shower facility, a yoga/pilates studio, massage and spa treatment centre and restaurants.